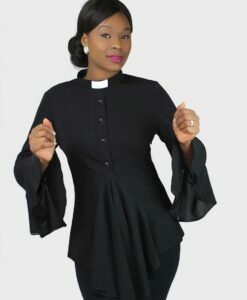 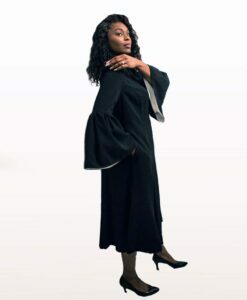 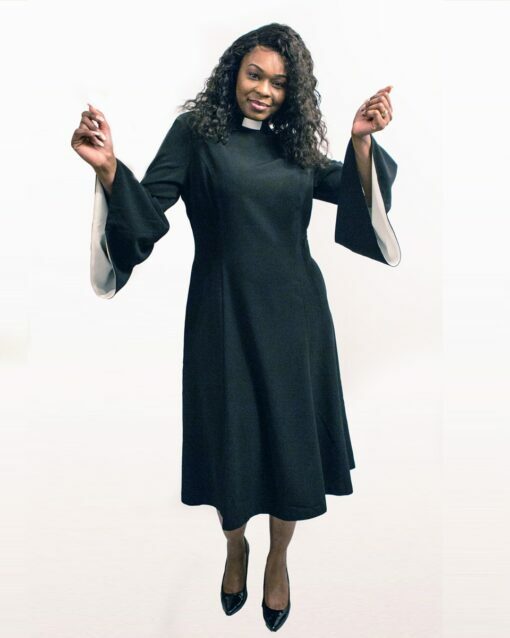 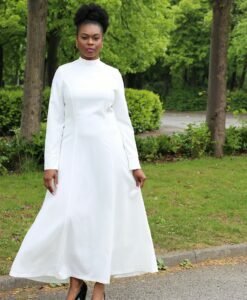 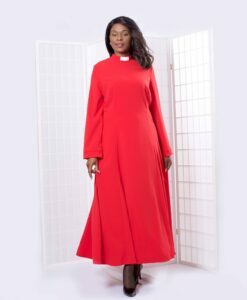 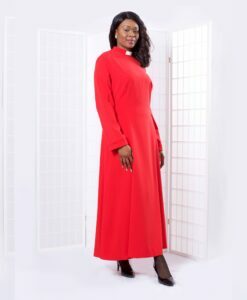 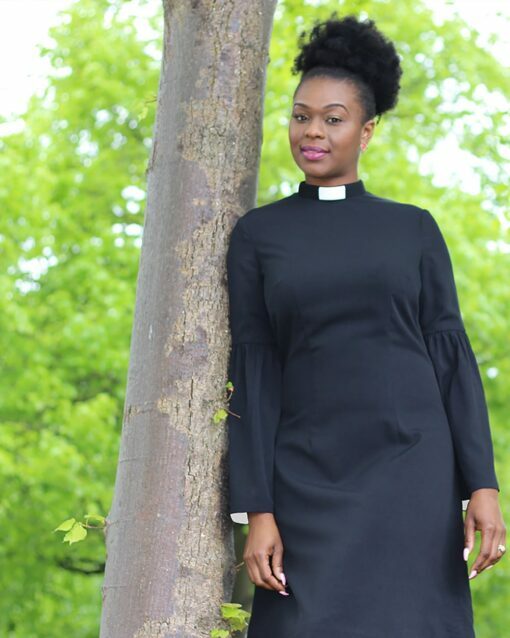 Clergy Dress with Bell Sleeves that are lined with white to match your collar. 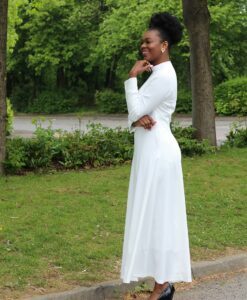 A modest tea length, great if you prefer your arms completely covered with style. 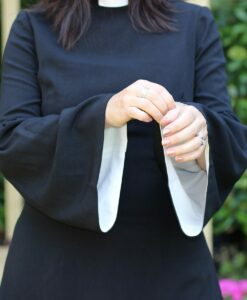 The dress is lined and comes with a removable plastic white tab insert (so that dress can be worn for other occasions). This style comes with discrete 2cm buttonholes in the front and back for you to add your full/Roman collar (full collar not supplied, only tab collars). The clergy bell dress is lined and comes with a removable plastic white tab insert (so that dress can be worn for other occasions). 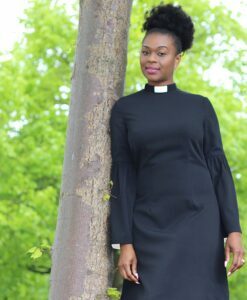 This style comes with discrete 2cm buttonholes in the front and back for you to add your full/Roman collar (full collar not supplied, only tab collars).